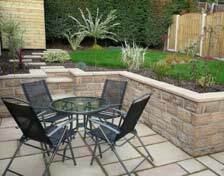 Marshall’s Landscaping is a local and family run landscaping business offering a range of hard and soft landscaping services to customers in and around Barnsley and the surrounding areas in Yorkshire. Our extensive range of landscaping services allow our team to transform your home with a full garden makeover, with services including paving, fencing, water features, retaining walls, rockeries, irrigation, lighting, decking, planting and turf laying. No job is too big or small for our dedicated and passionate landscaping team. We undertake landscaping projects solely for residential customers and are always proud of our work. Without the pressure of large, monotonous contract work, the complete focus of our team is providing an personal and friendly service with professional garden landscaping at competitive prices. We are proud of our team and they are well-respected in Barnsley and throughout Yorkshire. Polite, helpful and approachable, we are landscapers who you will happy to have working in your garden. If you live in Barnsley or the surrounding area, and would like to know what we can do for you, please contact us on the number above, or using the contact form on this website. 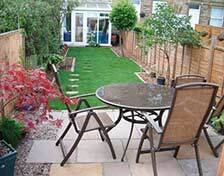 We will gladly visit your garden to discuss the potential transformation, whatever the size, and provide you with a prompt, detailed and competitive quote. We’re here to help. "Thanks again for creating our beautiful garden with your unparalleled attention to detail." "Highly recommended landscaping company. We are delighted with the friendly and professional service." 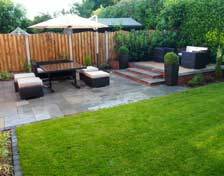 We are a Yorkshire based landscaping firm with a fresh approach to creating beautiful, well crafted landscapes at very competitive prices.